There are a lot of food trends that are popular such as low carb diets or gluten free diets. They all tout their various health claims but they are not a universal health improvement. Not everyone should eat low carb or be gluten free but there is one thing that everyone can benefit from – foods that fight cancer. Healthy, natural, unprocessed foods such as fruits and vegetables offer a myriad of health benefits and some even have cancer fighting properties. These properties will not cure cancer, they cannot prevent all cancers completely, but, they may help reduce the risk of getting cancer and that alone makes it worthwhile to add them to your diet. Eat those veggies! We have all heard it from the time we were children and when it comes to cancer prevention, cruciferous and leafy green vegetables are some of the best things you can eat. Not only will they help reduce the risk of cancer but they will also immensely improve your health. Cruciferous vegetables include things like broccoli, cabbage and cauliflower. Leafy green vegetables include things like spinach, kale, swiss chard, and more. All are good in any form but for the most health benefits they are best consumed raw. These kinds of vegetables contain special properties and enzymes that help flush chemicals and other cancer causing elements out of the human body, offering protection from free radicals and effectively reducing the risk of cancer. 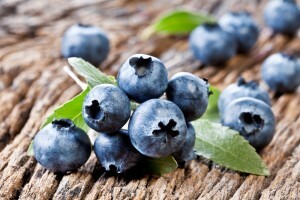 Berries are not only delicious but good for you! Add them to your morning oatmeal, eat them as a snack, mix them into your salad or top your favorite dessert with them. Get some berries wherever you can and help your body fight cancer. Blueberries, blackberries, strawberries and more contain phytochemicals and polyphenols that help the body eliminate carcinogens and inhibit cancer growth. There are many ways to enjoy tasty tomatoes such as in a pasta sauce, diced in a salad, sliced with salt and pepper, or stacked with some basil and mozzarella. Tomatoes are incredibly healthy and rich in lycopene which makes them a great cancer fighting food. Lycopene is a carotenoid and has been shown in research studies to help stop endometrial cancer cell growth. Speaking of making a delicious pasta sauce, garlic would make a great addition! Of course, garlic can be added to many things to enhance flavor and offer many health benefits. Garlic has been shown to help stop the formation of carcinogens in the stomach that arise from eating nitrates which is a preservative commonly found in food. Garlic can help stop the growth of cancer in places like the esophagus, stomach and colon. Green tea has gotten a name for speeding up metabolism and aiding in weight loss but it has another great health benefit, cancer prevention. Green tea is incredibly high in antioxidants which help reduce the damage caused by free radicals, detoxifies the body and helps slow the reproduction and growth of cancer cells.